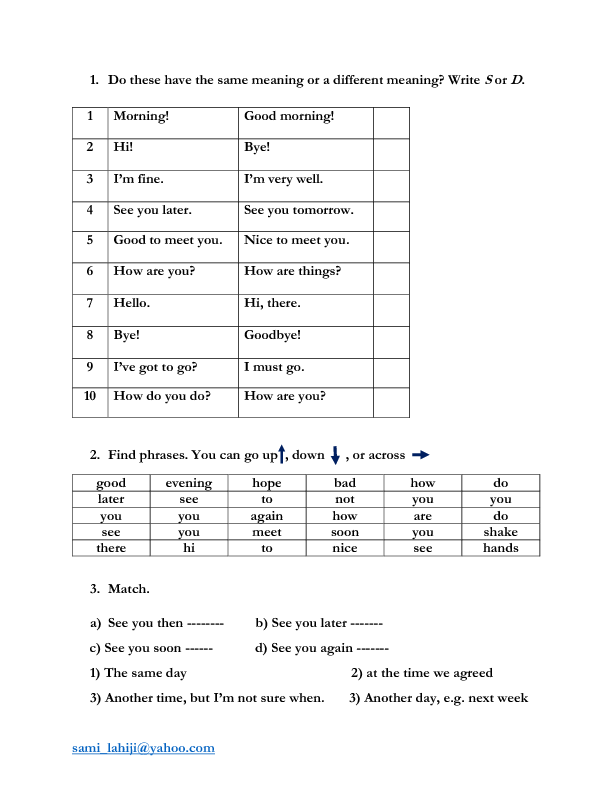 This worksheet is helpful for teaching and practicing how to greet and meet people. 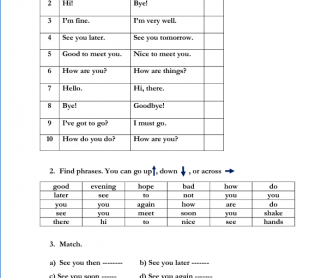 It contains three questions such as: different ways of saying hello and goodbye (formal and informal) and making phrases. It is appropriate for elementary students. Hope you enjoy!